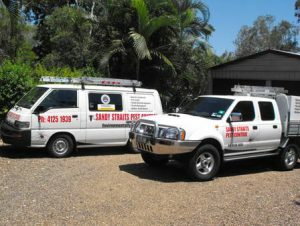 Sandy Straits Pest Control is a small family business that has been operating in the Fraser Coast Area for nearly two decades. Company Director, Owner and Manager, Peter Atkinson, has been involved in the pest control industry for over 20 years both in Hervey Bay and Bundaberg. We are proud of our contribution to the pest control industry. We are also committed to providing you with a high level of personal service. The team at Sandy Straits Pest Control are available to help with all of your pest control enquiries. Feel free to contact us Monday to Friday between 7.00am an 5.00pm, and Saturday by appointment. Here at Sandy Straits Pest Control our aim is to provide you with a safe and environmentally friendly solution. We care about your family and pets and provide pest control treatments that are safe for both pets and people with asthma and allergies. Toogoom, Burrum Heads, Howard, River Heads, Maryborough and Tiaro. We also travel to Bundaberg, Childers, Buxton and Woodgate.